Horses are magnificent creatures of grace and beauty. 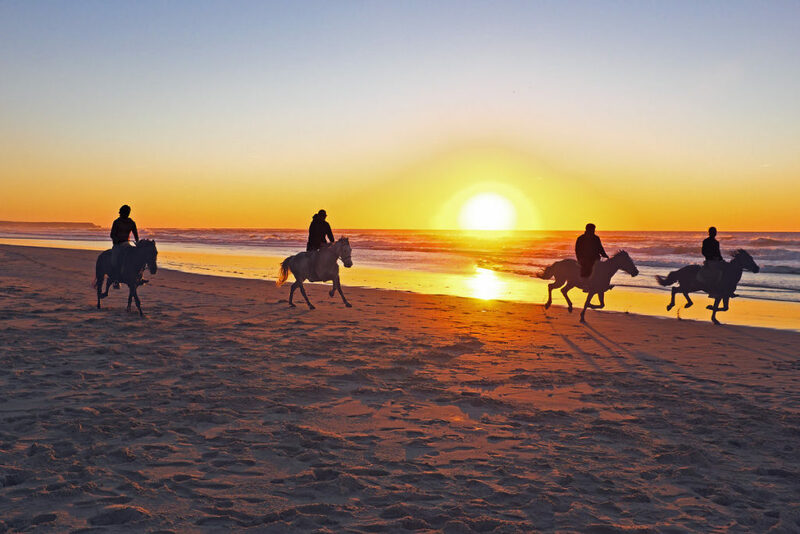 If you have ever thought about, or would like to experience riding a horse across beautiful beaches, you can. We offer one of the grandest horseback riding experiences in the world, sit atop a powerful, gentle and well trained horse as you gallop through the sights, sounds and smells of Mexico’s Pacific ocean shoreline, alongside a professional horseback guide. Our guides are highly trained and experienced horse riders, who will gladly assist you in becoming comfortable and feeling confident on your mount. Inexperienced, as well as experienced riders of any age over 5 years old are welcome. Anyone 8 years and older is welcome to ride alone, however children under 8 years old are required to sit with a parent or guardian to ensure safety. G Force Adventures is an American owned company; our goal is to provide you with the experience of a lifetime. Our guides are thoroughly trained and professional and your safety is our top priority. Customer service is also a priority to us. Cancellations 48 hours or more in advance can receive a full refund and cancellations within 24 hours can be rescheduled for your convenience. 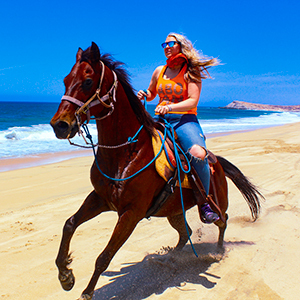 Come experience our horseback riding, Cabo San Lucas tour for yourself.